You all know by now that I am a sucker for Australiana, and I swooned when I spotted the Banksia Bloom fabric collection by my friend Saffron Craig this morning. 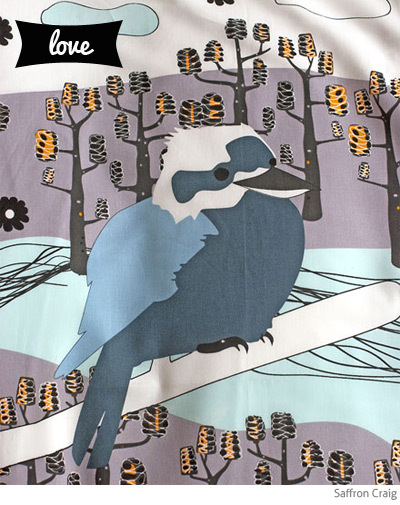 Kookaburras and Banksias with a teal blue and grey colourway. Divine! Head over to the Saffron Craig online store. Read more about Saffron here on Bondville. Oh, it's so gorgeous! I'm heading over there for a snoop.